Purpose of an Easement. An easement is an interest in land which is owned by a person who is not the owner of the whole parcel, such as the right to use or control a portion of the parcel, or an area above or below it, for a specific limited purpose (such as to cross it for access to a public road, to share a common drive with a neighboring property, or to install and maintain utility wires or lines). The land benefiting from an easement is called the dominant estate; the land burdened by an easement is called the servient estate. Unlike a lease or license, an easement may last forever, but it usually does not give the holder the right to exclusively possess, take from, improve, or sell the land. Some common easements may include: (i) a right-of-way; (ii) a right of entry; (iii) a right to the support of land and buildings; (iv) a right of light and air; or (v) a right to water. The owner of the servient estate is normally free to use his or her property as he or she chooses, provided that use does not impair the rights of the holder of the dominant estate to use the land covered by the easement.Easements Benefiting the Land. 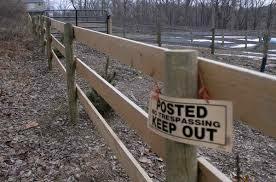 You may have an easement over someone else’s property for several reasons. One of the most common reasons may be for access to a public right of way for a property which otherwise might be landlocked. Check your survey or ask your title company if you are unsure of the purpose of any identified easement. Also, make sure that every easement benefiting your property over someone else’s property is reflected with the legal description included with Schedule A of your title insurance policy. One of the items insured by an owner’s policy of title insurance is legal access to the insured property. Loan Disclosures – Consequences to Lender can be great for failure to disclose.